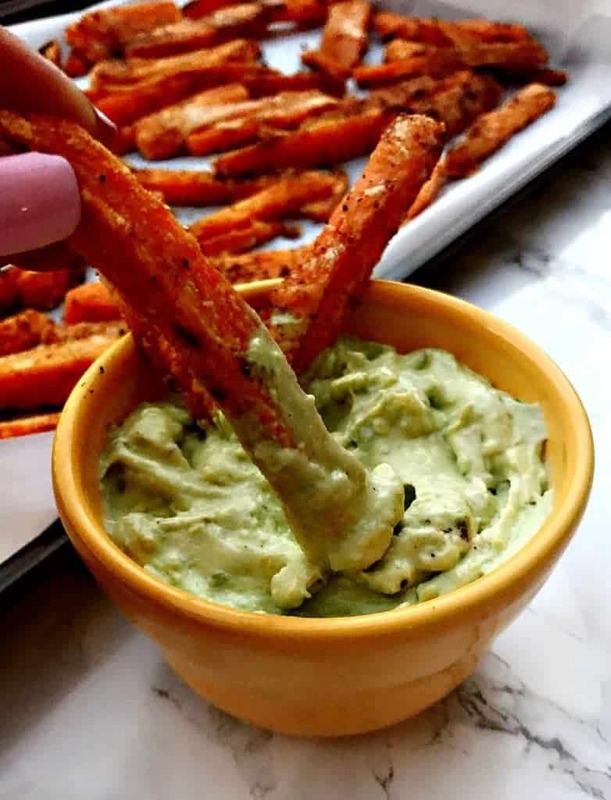 Easy, Healthy, and Baked Crunchy Sweet Potato Fries is a crispy, fries recipe with garlic, avocado aioli dipping sauce. This low-calorie side dish makes the perfect side dish or snack! 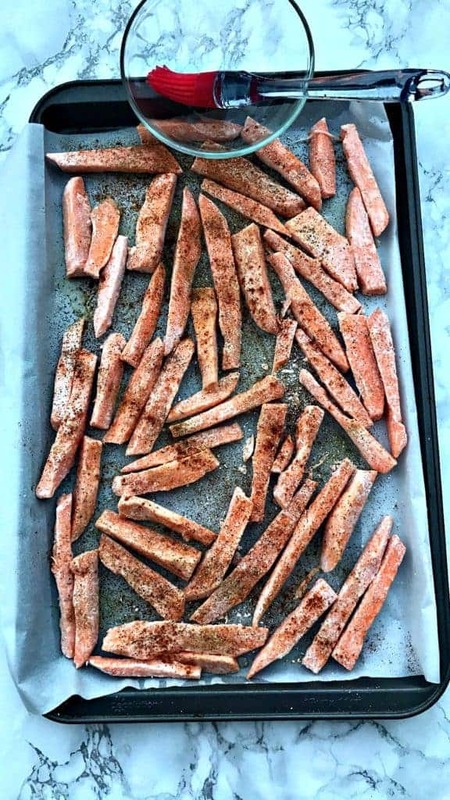 I absolutely LOVE French fries, so it is time to tackle healthy sweet potato fries that are crispy and crunchy. I am a huge burger person, so naturally, I love fries as well. My favorites are the really thick, steak fries type. It can be hard to resist a craving for fries. Carbs are my weakness. 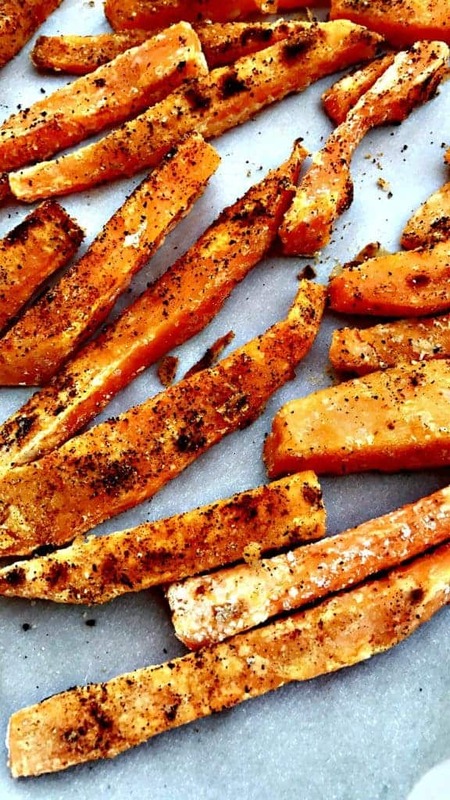 Sweet potatoes are a great way to mildly reduce guilt. 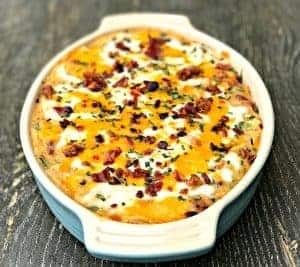 They have a lot less starch than regular potatoes and still taste great! I paired my Garlic Avocado Aioli with the fries. The combination was great! A paired dipping sauce really brings out the amazing quality of these fries. Before placing the fries in the oven, I lightly brushed them with oil to help produce the perfect crunch. The color of the spices becomes really bold while baking. Place the sliced sweet potatoes in a large bowl with cold water. Allow the sweet potatoes to soak in the water for an hour. 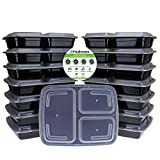 As the oven preheats place a baking pan in the oven for 6-8 minutes so that it becomes warm. Drain the water from the bowl with the sweet potatoes. Dry the sweet potatoes with paper towels. Place the sweet potatoes in a Ziploc bag with the corn starch. Seal the bag and shake to evenly coat the fries. Remove the heated pan from the oven. Line the pan with parchment paper and lightly spray with cooking oil spray. Spread the fries onto the pan and coat them with the oil and seasonings. Make sure the fries do not touch. Bake for another 5-10 minutes, or until they are tender-crisp. Turn the oven off and leave the oven door open. Keep the fries in the oven for about 5 additional minutes. 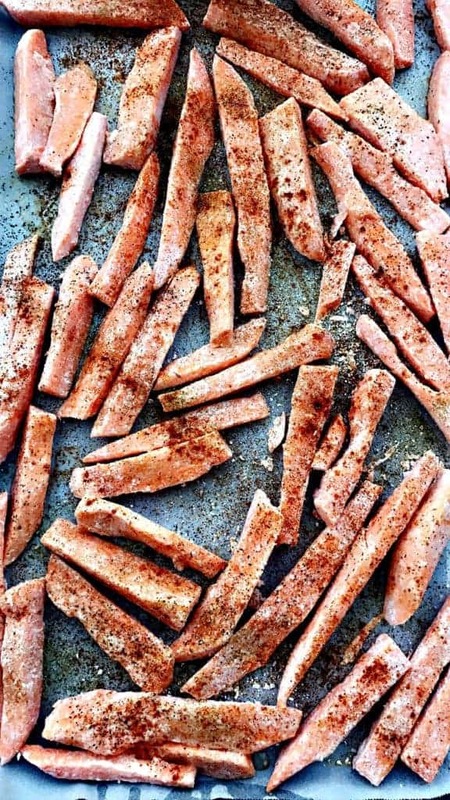 Sweet potato fries are literally one of my favorite things in life. 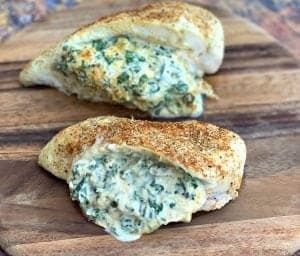 These look amazing…especially that aioli! Carbs are my weakness as well. 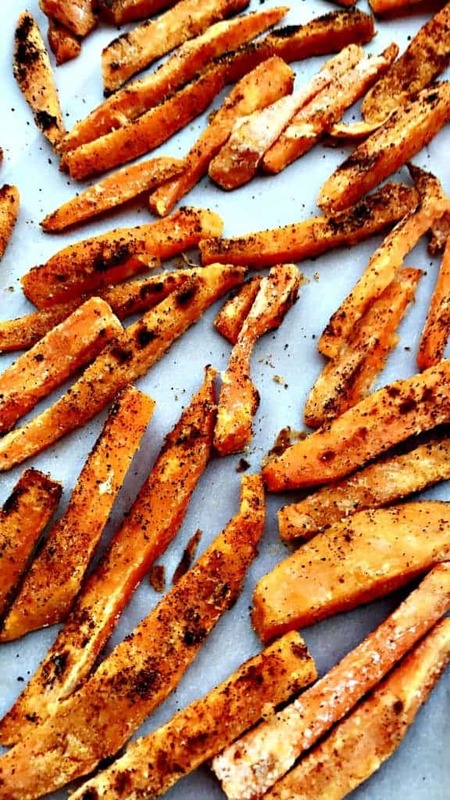 I really love sweet potato fries and your recipe for them looks amazing. Loving that dipping sauce you used. Yum! 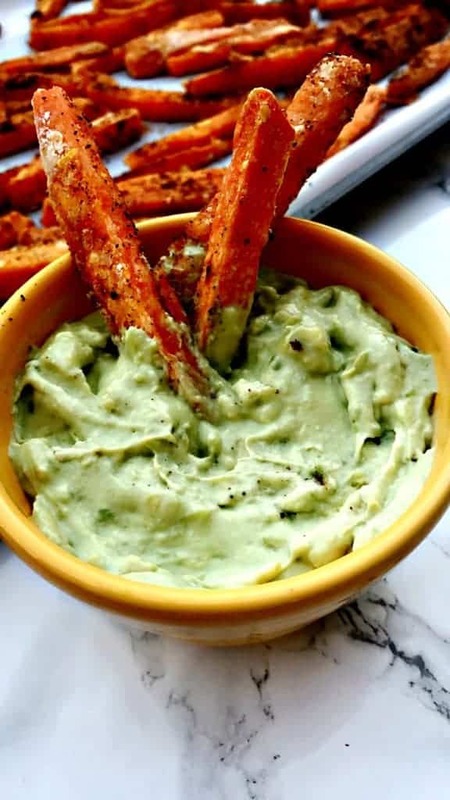 Love the sweetness of sweet potato and richness of avocado! Carbs are my weakness too! But I like that sweet potatoes bring some other nutritional value to the table! 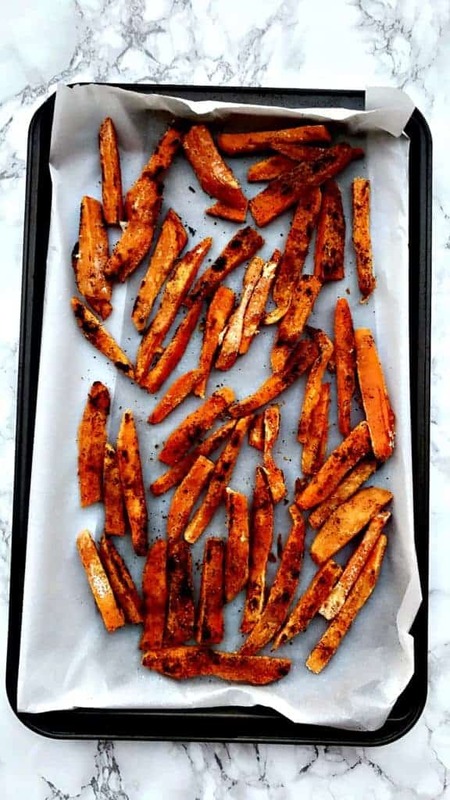 I’ve had a hard time getting sweet potato fries to be crispy. 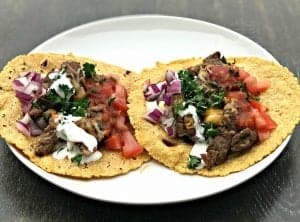 I love them, but they never quite get there, so I’m really excited to find your recipe to try. Thanks for posting this. Will be giving it a go. I’m noticing that you soak the sweet potatoes for an hour pre-cooking and wondering if that helps them crisp up. Yes, this worked for me. I read an article a while back and tested it out! 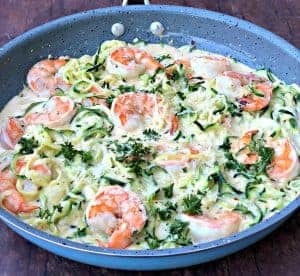 You wrote 1 tsp of garlic powder twice. Is that correct? Or did you intend another spice? Sorry, I mean 2 tsp garlic powder twice. So we should use 4 tsp? Is it divided? This wasn’t specified in the instructions. It should be 2 tsp garlic powder. I revised the ingredients. Thanks for catching this! Wait so how do you make the avacadp dip??? 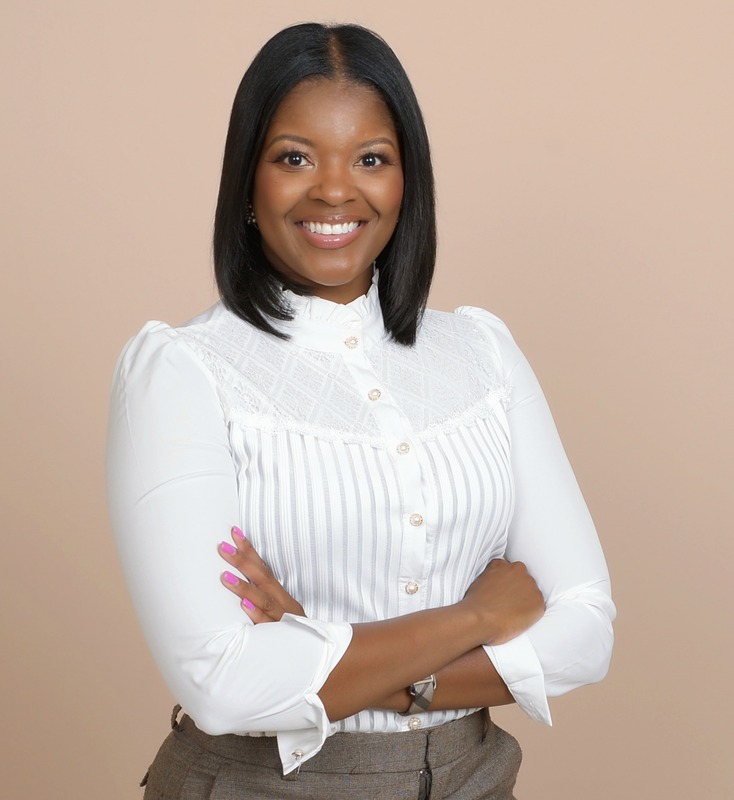 I love sweet potatoes and this recipe is just awesome, Brandi! My mouth is watering right now. 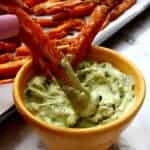 The garlic avocado aioli recipe I noted above.